A CONTRACT signing ceremony was held yesterday between D’Sunlit Sdn Bhd and a number of event and activity partners for the return of the 15th edition of the highly-popular Consumer Fair (CF15). The fair is organised by D’Sunlit Sdn Bhd in collaboration with the Ministry of Industry and Primary Resources (MIPR). THE Jerudong Park Medical Centre (JPMC) yesterday held a cheque presentation ceremony to the Brunei Darussalam Aids Council (BDAC) as well as prize presentation to the winners of the World Aids Day photo contest, which was organised recently by JPMC in collaboration with Brunei Press Sdn Bhd based on the theme ‘Getting to Zero’. 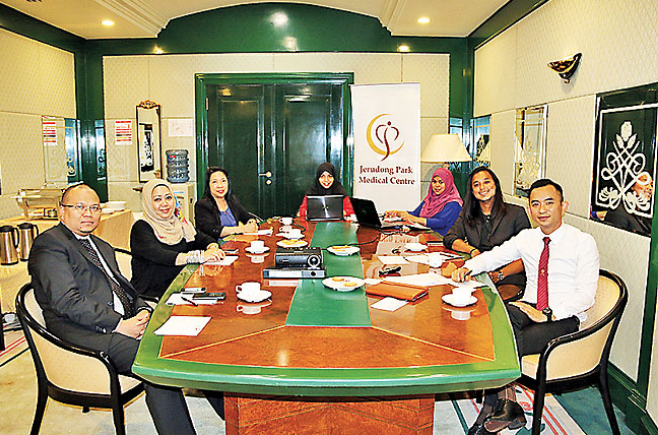 IN CONJUNCTION with the World AIDS Day 2014, Jerudong Park Medical Centre (JPMC) together with Brunei Press Sdn Bhd recently organised a photo contest that was open to members of the public. According to a press release from JPMC, the photo contest, which was held from the November 26 to December 9, highlighted the theme of the World AIDS Day – ‘Getting To Zero’. Contestants were told to submit images which represented a ‘Healthy Lifestyle’.